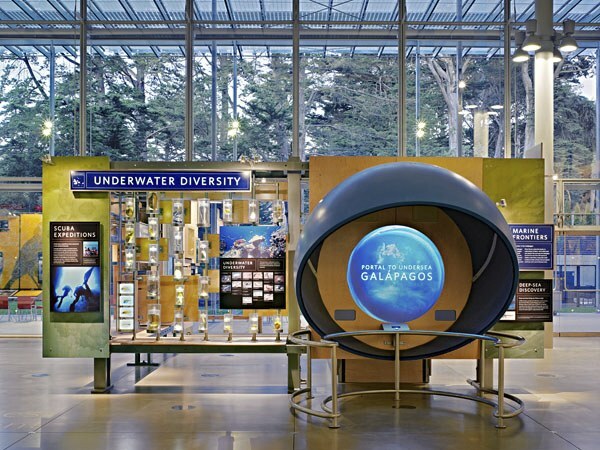 San Francisco design firm Volume Inc., created these exhibits for the main floor of the Renzo Piano-designed California Academy of Sciences. 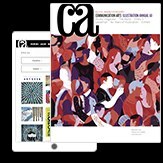 Islands of Evolution examines the Academy's various expeditions and research in the Galápagos and Madagascar with a design that co-opts the scientific specimen box as a method of organizing content with a contemporary spin. The exhibit modules were developed from a standardized kit of parts, including direct-to-ply prints, low-energy LED lightboxes, A/V and specimens, but rather than being constrained by the “black box” model typically found in natural history museums, this exhibit is a non-linear, contemporary cabinet of curiosities. Visitors benefit from 360-degree views through transparent materials and openings in the exhibits that encourage human interaction.